Tell the Story of Your Business with Pictures Too! You would need to be Rip van Winkle to not know that social media has rapidly changed the landscape of business marketing communications. In quick succession blog posts became Facebook updates and then Tumblr posts which then shrunk to Tweets. Now we are saying it with pictures on Pinterest and Instagram. With 28 million visitors in December 2012, the image and video sharing site Pinterest has experienced explosive growth year over year. What makes this growth rate even more interesting is that Pinterest users are second only to LinkedIn users in terms of the Buying Power Index. Pinterest users spend more money more often on more items than on any of the other top five social networking sites. This is music to the ears of any business executive. You may wonder why the rapid rise for Pinterest and visual communication methods—and why now? While Facebook has been busy complicating privacy settings and adding a vast array of new ad streams and features, Pinterest has kept things relatively simple: see something you like, pin it into user defined categories. Dare I say fun? Furthermore Pinterest has clarity of purpose that captures user attention. Pinterest is less about how we are feeling today or what we had for dinner and more about what inspires and interests us. All told in pictures. Of course, the concept of “saying it in pictures” is not new to marketing. The idea has been around for more than a century. In the 1910s Doan’s Backache Kidney Pills advertisements included a drawing of a man holding his back and the text “Every Picture Tells a Story”. And in the 1950s Kodak suggested that “‘you should say it in pictures.” Move to our recent past. Just two years ago marketers were spreading the maxim that “content is king”. But now it seems a picture really is worth a thousand words—and is becoming the new king of content. As mobile usage grows and more people engage with social media via smart phones, they are discovering that taking a picture with Instagram or pinning one with Pinterest is much less tedious than typing out a status update on a two-inch keyboard. In many ways these pictures are like movie previews but for written content: they provide a taste of what an article, brand, site or other piece of content is about allowing users to make quick decisions about whether they are interested or not. And if they are interested, they pin them for later reference and share them with their friends. Imagine the credibility you gain when users find something of yours interesting and use it in their own work, research or personal life—and the visibility you gain when they click on it and find even more information on your website or blog. As usually happens with these trends, B2C consumer marketers are rapidly using this highly visual brand selling technique for consumer goods, but it’s important for B2B as well. Here are some simple guidelines I’ve found useful. In a world of shortened attention spans and huge amounts of information, pictures have become a short form way of communicating lots of information quickly and clearly. As your buyers become more pressed for time and the amount of content explodes, businesses need to get to the point quicker than ever to catch a buyer’s attention. This applies to the B2B market as well as B2C. In many ways this explosion of pictures in marketing makes sense. Why resort to pages and pages of words and bullet points on slides when it’s possible to tell the same story with the same or greater impact in a picture or graph or drawing. If you are like me, simple is good. Short and clear is even better. And the only thing shorter than a tweet or blog post is a picture. Search engines are no longer ranking content just on website traffic alone; they are now including social conversations and sharing to determine rank. Marketers can use visual content as a part of their social media to increase engagement and inspire sharing and viral marketing. Still not convinced? 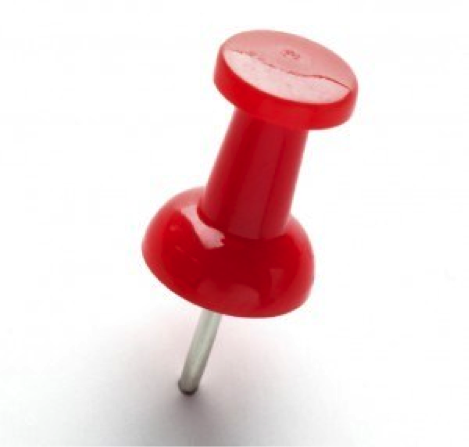 Take some time to look for your competitors on Pinterest. See how other companies not in your market space are utilizing pictures to tell their story. Remember: social media is not your marketing strategy – it’s just one more tool you can use in an integrated marketing program. Businesses that can leverage visual media as part of an integrated marketing plan with solid information that buyers find useful and engaging will be able to help make their companies market leaders. So how are you navigating the new visual social media era? Share with us some sites or companies you think of as best practice or have done some interesting things with pictures to tell their story. And check out the Chief Outsiders Pinterest site as well….we have pinned some good marketing content there you may be interested in.